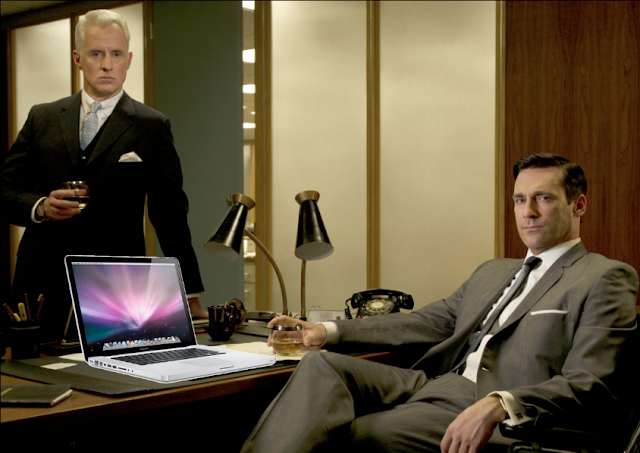 On & True: Don Draper vs. @dondraper: how twitter handles have replaced handles of scotch. Don Draper vs. @dondraper: how twitter handles have replaced handles of scotch. Watching Mad Men we marvel at how much of the work day is spent intaking scotch and cigarette smoke, at how awesomely Don Draper's ideation process was rooted in drinking, smoking, and brooding. But considering that sir Draper had no twitter account or Facebook newsfeed to lean on as his procrastination-crutch, his indulgences are really not all that surprising. I ask: what happens when the internet goes dark at your office? ......... Like C-3PO unplugged by master Luke, we pause, look up, slump in our chairs and glaze out. 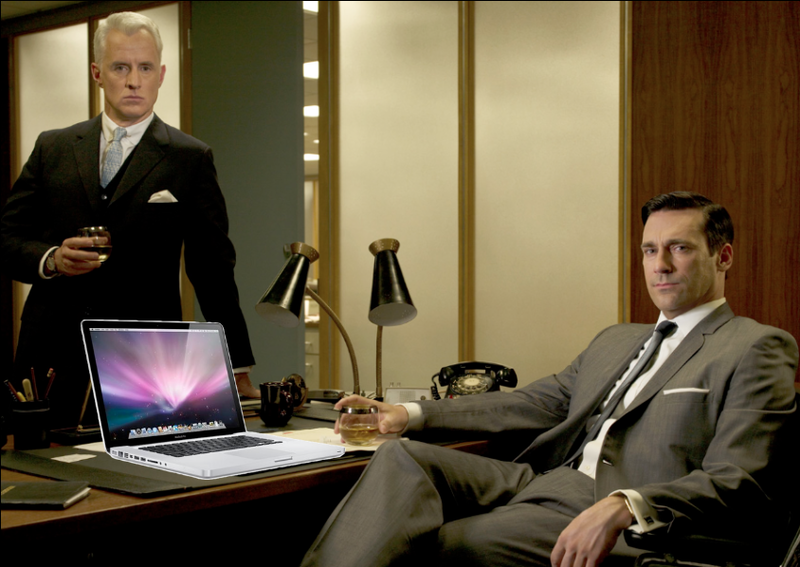 Put a tumbler (not a Tumblr, you addict) of scotch in our palm, and a cigarette between our lips and we are all in a corner office at Sterling Cooper Draper. De-device us and you open us up to "mad"ness. Let's visit a Luddite ad agency where out of fervent principal the creative directors and account execs will be non-tweeters -- I guarantee you they will be smoking and drinking their insides out.